A feud has broken out between liberal billionaire activist and fervent Clinton supporter, George Soros, and Italy's anti-immigrant League party, which on Friday formed a populist movement in coalition with the 5-Star party, and whose leader Matteo Salvini stepped into his new job as Deputy Prime Minister and Minister of the Interior on Friday, pledging to deport hundreds of thousands of illegal immigrants. Salvini's League and the 5-Star Movement struck a deal Thursday on a coalition government which will work towards "putting Italians first" (and potentially making life for Europe a living hell with the ongoing threat of Quitaly, which according to JPMorgan may be Rome's best outcome), ending five days of market volatility and political chaos. 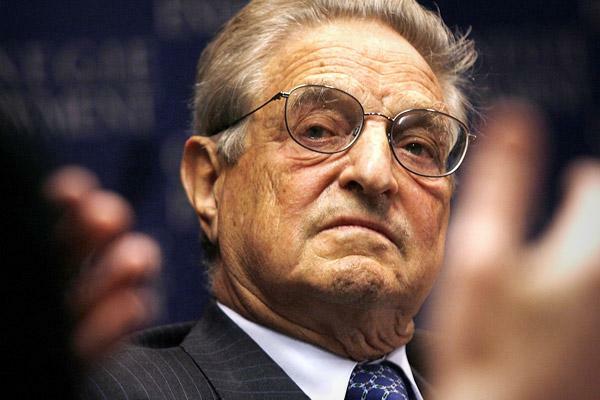 In response, George Soros flipped out, openly suggesting that Salvini might be financed by Vladimir Putin, saying he is "very worried about Russia's influence on Europe in general and on the new Italian government." "I do not know if Salvini was funded by Moscow, but the public has a right to know" said Soros. Soros translated: Any government who puts their citizens ahead of migrants is now a Putin puppet. "Soros worried by the Italian government? Then it means that we are going in the right direction... We understand that those who have speculated for years on the skin of immigrants, financing NGOs and smugglers to invade Italy. "The wind has changed for [Soros] and for all those who have profited from the deaths of hundreds of people." Soros also admits in Italy's Corriere della Sera newspaper that the League's growing influence is a reflection on "Europe's flawed migration policies that imposed an unfair burden on Italy." His solution? Instead of resettling the migrants, the EU needs to pay Italy. Italy is far from the first European nation to reject Soros's open border ideology. Most markedly, Hungary’s prime minister, Viktor Orbán, based his successful re-election campaign this year on attacking a supposed “Soros plan” to flood Hungary with Muslim migrants. In his opinion piece, Soros rubbishes the accusation as “false and ridiculous”. Poland and the Czech Republic have also notably resisted Soros's policies. Ironically, the globalist establishment's stiff resistance against Salvini and Europe's populist wave (which on Sunday, swept across Slovenia where the anti-immigration SDS party soundly won the local elections) continues to backfire, and as Bloomberg reports, public support for the League strengthened as polls showed Salvini's party narrowing the lead of its ally, the Five Star Movement, to less than 2%. 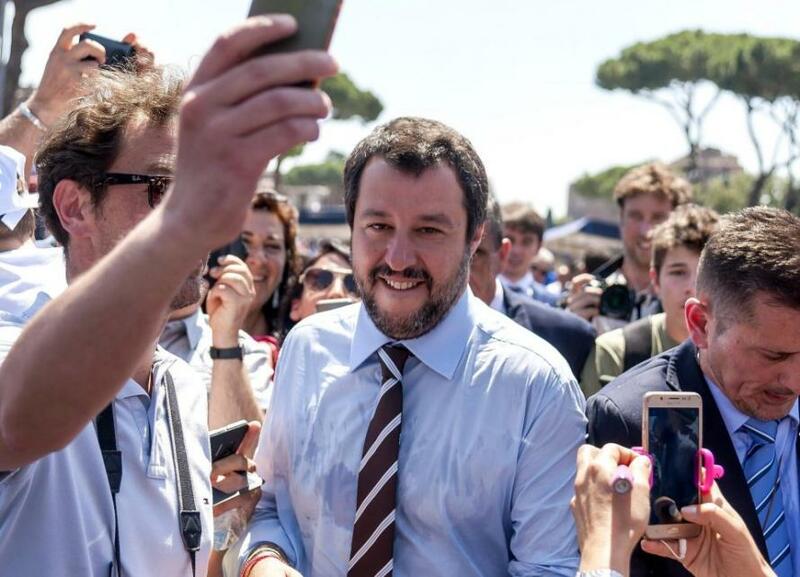 Support for the anti-immigrant League grew to 28.5 percent, compared with 17.4 percent of votes received in March 4 general elections, according to an Ipsos poll published Saturday in Italian newspaper Corriere della Sera. Luigi Di Maio’s anti-establishment Five Star saw its support fall slightly to 30.1 percent from 32.7 percent of ballots on March 4, according to the poll. And with Italy set to send back hundreds of thousands of immigrants to neighboring liberal European countries, we can only wonder how an "enlightened" and "progressive" Europe will get along with their new migrant residents the next time the global economy coughs up a hairball and people start to pay closer attention to where their tax dollars are going.